What is Societi? Get paid or get scammed? Welcome to my Societi review. You must have heard of this latest and hottest games app that is making its rounds, with everybody telling you to sign up using their referral code. I got curious too, so after some snooping around, here I am with this post to answer: what is Societi? With many new platforms like this, the main concern is whether you really get to cash out, or are they going to scam you of your time and effort, and make you pull out every single strand of hair to get back those few bucks. I will answer these and more, in this honest, unbiased and in-depth Societi review. Let’s dive right in now. 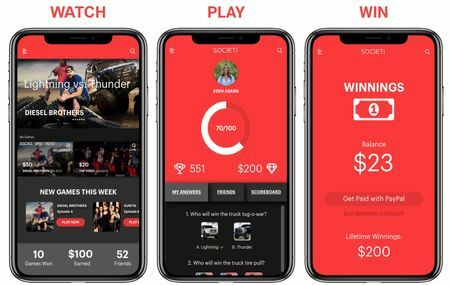 Societi is a fun trivia game app, in which you earn when you correctly guess the outcome of some popular reality TV shows in the U.S. You also get to earn when others join through your referral code. Societi is a legitimate and transparent platform to make some coffee money while you play their games and relax after a stressful day. 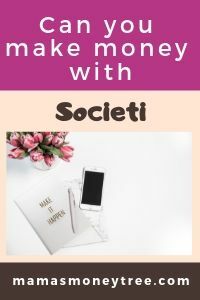 Read on for the detailed review of Societi, and why I would use it only if I just want to earn a small side income. Basically you go on this app to guess the outcome of some popular TV game shows, or reality shows. It has nothing to do with your general knowledge, or knowledge in any specific field. But it does help to be following those shows, as you will be able to sense for yourself who could be the potential winner, or the winning team. And from there, make your most ‘educated’ guess. If you guessed it wrong, you simply walk away, having lost nothing (but a few minutes of your time), and earned nothing too. If you guessed it right, you get to earn about $1 to $2 per game, which is quite a good deal, considering you only spent a few minutes to take part in the game through the app. The limit here is definitely the number of game shows and reality shows on TV. So I would say the earning potential in Societi is not high at all. It is totally free to join. Societi is available on both Android and IOS. You can download it from your Play Store or Apple Store, through your mobile devices. You can’t play it on any desktop or laptop. Societi is only available in the U.S. and you have to be above 17 years of age. You can sign up through FaceBook or your email. If you have friends or family in there already, make sure you use their referral code, so that they get to earn. The minimum amount eligible for cash out is high. It used to be $40 when the app was first launched, but now it has increased to $80, if you are cashing out via PayPal. But if you are happy with an Amazon gift card, then that option only takes $10 to cash out. Generally people have no issue at all when trying to cash out. So this is a really legitimate platform, if you want to earn a little bit of extra cash. The other way to make money through Societi is by referring people to join using your referral code. This has been a very lucrative way to earn when this app was first launched. But now, the earning per referral has dropped to $1 (it used to be $5). Still, it should not be that difficult to make a few extra dollars, by sending your referral code around to your friends, colleagues, and family. I know, it’s rather hard to believe there is such a platform that allows people to make money, simply by playing trivia games. No fees to join, and they are just paying and paying to their users. How do they sustain themselves then? You see, when you sign up with Societi, you would actually be agreeing to them sharing your information with third-party advertising and third-party offers. And this is how Societi makes money to keep themselves in business: they sell your data lawfully to advertisers, networks, and other third parties. This is where they get the money to fund the rewards to its users, and still profit from it. There is nothing exploitative about it, and you do not have to worry that your payment information and other sensitive data will be divulged. But you can likely expect to receive some advertisements through your email, or be shown some advertisement posts on FaceBook, and the likes of it. I think this is perfectly reasonable, in exchange for hard cash that they are dishing out to their users. Still, this is not something that I would personally want to spend my time on. I know Societi cannot make me a full time income. Instead, I am putting all my time and energy into building up my online income, by working from home. I chose to build up my online business through this model called affiliate marketing, because it is the neatest and most hassle-free way to make money from home. I simply leverage on the millions of existing products already available in the market, choose some awesome ones related to my preferred niche, and promote them. When people buy these products through my affiliate links, I earn a commission from the retailers. I do not have to own or store any products, no upfront investment to buy inventory, I do not have to deal with delivery, or customers complaints and refunds. All I do is bring customers to the virtual doorstep of the businesses. The traffic method that I use to get people to my affiliate offers is the game changer here. I get my traffic totally for free, without spending a single cent on any advertising. In fact, people come looking for my offers, I do not have to go looking for potential customers. Societi has proven itself to be a totally legitimate and above-board app, that will really pay out when the cash out minimum is met. If you are watching those TV shows anyway, I’m sure you would be making your own guesses at who’s the winner, or betting with your sibling over the outcome of the game. Why not earn a little extra while you’re at it? Since it’s on mobile devices, it is totally convenient, you can bring it anywhere, and play the games whenever you have free pockets of a few minutes. The support of Societi is great, they are responsive and professional in their dealings with users. The minimum cash out amount of $80 is very high. This means it can take quite a while of playing those games, in order to accumulate your earnings to be able to cash out through PayPal. Of course if you don’t want to wait that long, you can always cash it out via a $10 Amazon gift card. No matter how great this app is, you are not going to make a steady income out of it. $100+ per month is already a generous estimate for the earnings. This is not a common occurrence, though I have seen some users giving feedback on this aspect. It could be due to some glitch at that point in time, which should be able to get resolved once you contact their support. Is Societi Scam or legit? Societi is definitely a legitimate and transparent platform, for you to earn some coffee money while playing some trivia games. Some other similar get-paid-to sites include Swagbucks, PrizeRebel, and Inbox Dollars, to name just a few. I highly recommend Societi if you want to earn a few extra dollars while guessing the winners of your favourite reality TV shows. 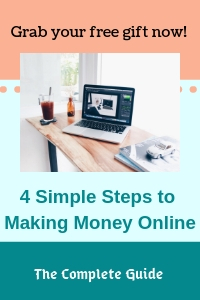 However, if you want to make some serious money online, something that you can build into a full-time income, then I want to show you the method I am using. 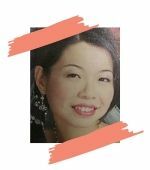 This business model I am using, called affiliate marketing, allows me to work solely from home, giving me lots of flexibility in terms of time and space. And the best thing is I am building up my very own business, I do not report to anyone. Simply by driving customers to great companies with great products that I choose to promote, I make a commission. There is no face to face selling, no cold calls to make. I do not even step out of the house, as all the work can be done online, as long as you have an internet connection. On top of that, the traffic method that I use to drive potential customers to my affiliate offers is a free and sustainable one, that allows me to build it up into a passive income stream. If you have any concerns or questions regarding this Societi review, do comment below, and we will start a conversation from there.